Shiv is one of the three principal deities of the Hindus: the others are Brahma and Vishnu. Shiv has the power of annihilation or destruction of evil. 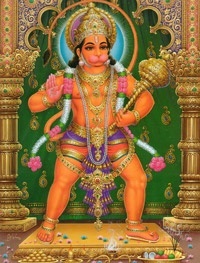 He is also an ideal for simplicity in our life to renounce attachments to worldly objects. Other common names of Shiva are Nataraja, Dakshinamurthi and Chandrasekara. Mondays and Pradhosham, thirteenth day of the fortnight are very auspicious to Shiva Maha Shivaratri is celebrated in grand style with puja’s and bhajans throughout night. Dharsan of Shiva on days with Aardha star and prashodam puja on Mondays Saturdays are very auspicious. 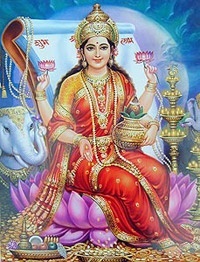 Siva is Abhishekapriya, meaning one who adores sacred bath. 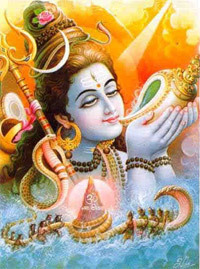 Rudraabishekam, Rudra homam, Mrithyunjaya homam are performed to Lord Shiva. Bilva leaf, Erukku,Thumba and Oleander flowers are auspicious to Shiva.